Not many tools – one tool. 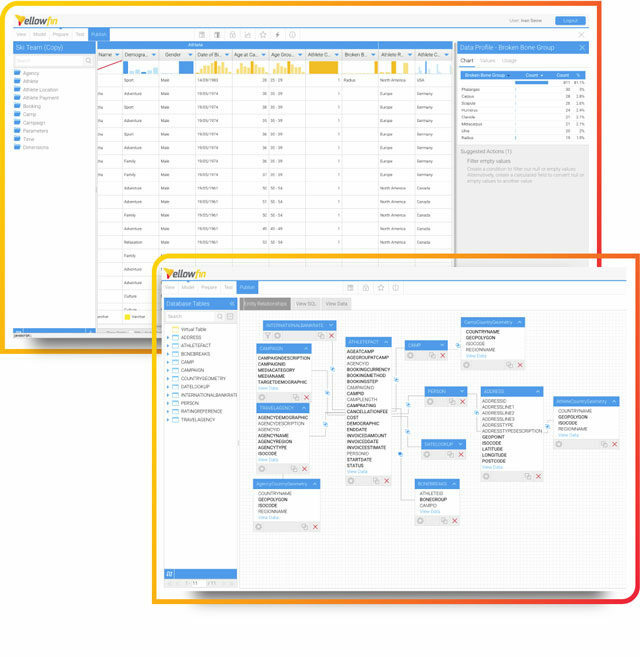 Yellowfin is built for every member of your data team so you get from raw data to deployed dashboards to actionable business insight quickly. 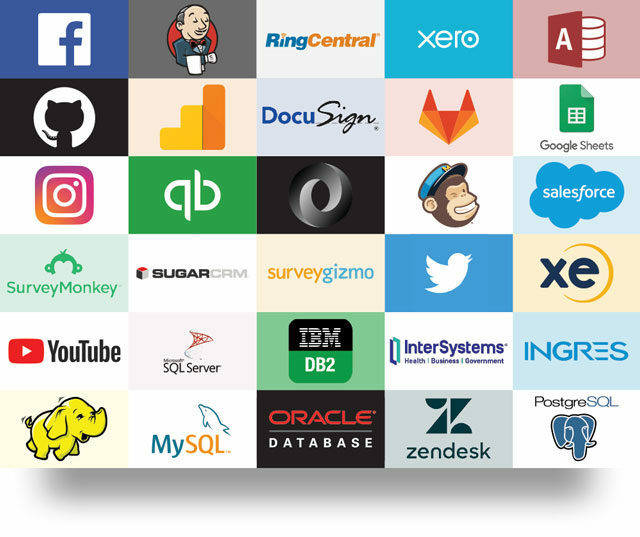 Easily connect to files, relational databases, cubes, Hadoop, NoSQL, and API data sources, whether they’re on-premises or in the cloud. Are yours on the list? Use one of our many partners, or write your own if you are so inclined. Transform data with clicks not hand coding. You can easily blend data from multiple data sources, transform it with pre-built or custom transformations, and enrich it for deeper insights using third-party data providers. Define metrics once. Our centralized metadata repository helps you to rapidly model, prepare, and reuse data for analysis. Provide governed and secure data for analysis that the whole organization trusts. Operationalize your machine learning and deliver those insights to business users. Your data boffins have built some valuable models, but they are locked away in their data-science tools. Integrate them into a data-transformation flow or live in a report by exporting the models as Predictive Model Markup Language (PMML) or Portable Format for Analytics (PFA) and running them natively in Yellowfin, or calling models directly from a data-science platform such as R, Python, and H2O.ai. Deliver insights your way. Build highly personalized and interactive dashboards with an easy-to-use, drag-and-drop browser interface. Or leverage our pre-built dashboards for popular apps such as Salesforce, Facebook, and Jira. Visualize and explore your data with the Yellowfin advanced data-visualization and data-discovery capabilities. Deliver insights with trend analysis, regressions, correlations, and set analysis. Spend less time doing manual data discovery and let Assisted Insights answer your questions instantly. Machine-learning algorithms identify statistically relevant anomalies and trends in your data then generate best-fit charts and narratives. and embed Yellowfin into apps that will wow your customers. Yellowfin scales to meet the heaviest workloads. You can deploy on-premise or in the cloud with AWS, Azure, or Google Cloud Platform. You can containerize with Docker, Heroku, or other application servers such as WebSphere, OAS, WildFly, and more. Our platform is Unicode-enabled with the user interface supporting multiple languages including English, French, German, Italian, Japanese, Korean, Malay, Portuguese, Spanish, Thai, and Simplified Chinese. Embedding analytics is becoming increasingly easier. But that doesn’t mean it’s straightforward. That’s why we have put together this in-depth guide to embedding analytics.